For real geeks this would be no problem at all: surely, they know how to avoid paying extra for VPN services and, on top of that, stay ‘independently secure’. But what do you get in return? In fact, it is worth evaluating all pros and cons of having a private home VPN server before actually configuring one. Firstly, it’s complicated. Yes, not every user can do it right. Sometimes it turns out way more reasonable to connect to a fast paid VPN service, providing easy-to-use clients to run on all devices required. The prices start from around $4 per month. Another issue is speed. Commonly, ISPs offer connections with a lower upload bandwidth compared to download bandwidth. Mind that the upload speed truly matters in case you are going to set up a home VPN, which creates another issue to make you think in favor of paid VPN services. To start with, you don’t have to pay for the service. Another factor is mobility. With a home VPN server, you can safely access online sources via the server’s encrypted tunnel even while using a public Wi-Fi network in any part of the world: this means you won’t miss one episode of your favorite Netflix show while traveling. Plus, there is no need to worry about some important files placed in your home network – just connect to your own VPN server. Gamers will also find a private VPN to be a great idea: in case you are fond of PC games based on ‘LAN over the Internet’ technology, you can easily provide your friends with access to your hosted VPN and together enjoy the game. 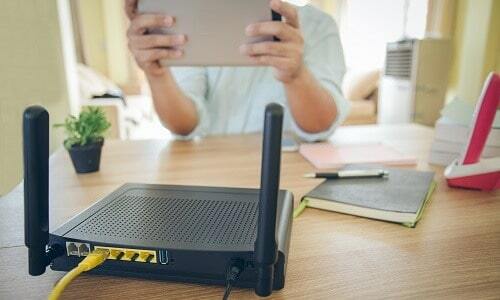 The easiest way you can set up your own VPN is to acquire a router with a built-in VPN server at once, which can be then activated and configured accordingly via the router’s web interface. Remember to check if the router supports a reliable VPN protocol. Another option is to change the operating system running on your current router – so-called firmware. For that, you have to make sure that the router supports third-party firmware including VPN features. DD-WRT and OpenWrt are the most popular solutions. After you flash a custom firmware, you will be able to activate your own VPN server. Install VPN server software on one of your machines. Today you can find a wide range of VPN software solutions offering an opportunity to create a VPN server on any operating system – from Windows to Mac and Linux (the most popular one is OpenVPN). In order to set up a VPN server, you only have to install the right software and forward the necessary ports on the router. Actually, both Windows and Mac now offer built-in configurations for VPN hosting, so you can even bypass extra software installation. However, to be on the safe side, it is recommended to use OpenVPN. In case you don’t have a spare desktop computer that can be on for 24 hours, you can roll out your VPN server on a small computer Raspberry Pi: after running OpenVPN on it, you will access a low-power VPN server, which can be further upgraded with other server software if necessary. Host your VPN on a third-party server. There is one more DIY option that is something between hosting a VPN on your own hardware and buying the complete service package from a VPN provider: you can just host your VPN on the server provided by a web hosting provider. Why can this be interesting to you – it is cheaper and allows you to be more independent in terms of VPN service configuration. The maintenance process will totally depend on the hosting provider: whether you are supposed just to point and click to access the VPN server control panel or you are required to perform all the configuration activities via the command line. In any case, pay proper attention to security, and remember that a strong password may not be enough.